Mont Bleu Glass Nailfiles & GIVEAWAY! When you say glass nail file you immeditatly think of Mont Bleu. This company is from the Czech Republic and specialized in glassware. They have so many pretty items but today I’m going to show you their glass nail files. 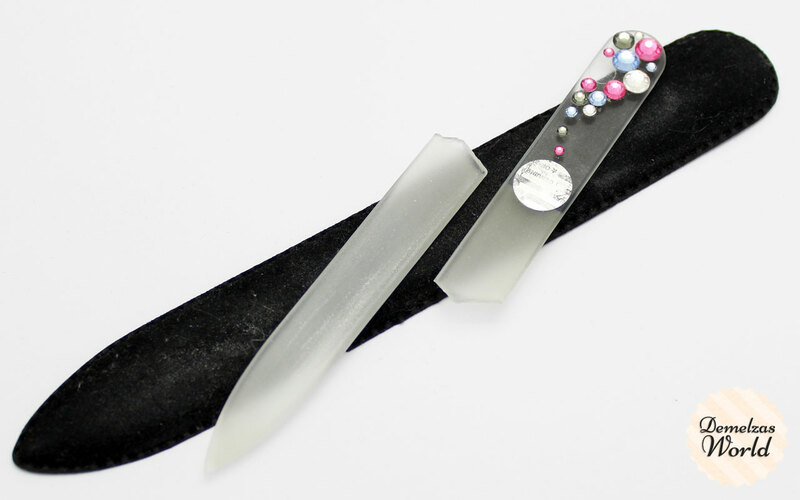 Glass nail files are an important tool if you want healthy nails. 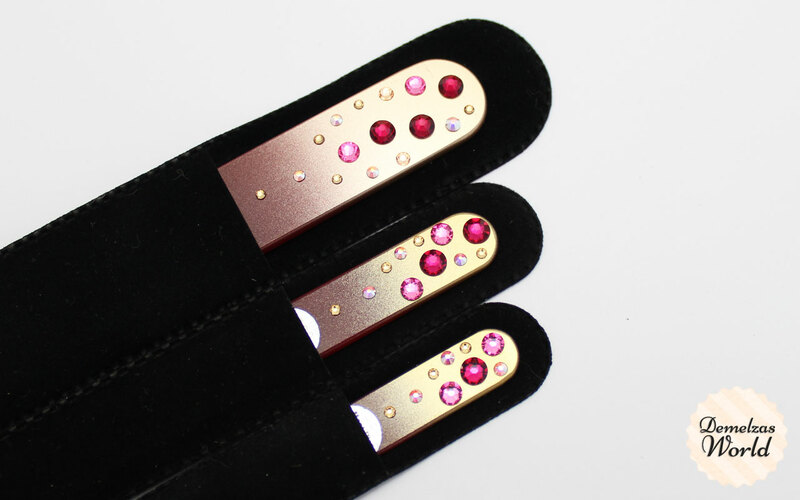 Diamond or cardbord nailfiles will damage your nails and can make them peel, I know they are cheaper than a glass nail file but if you want to take care of your nails definitely buy a glass nail file, they are a little bit more expensive but they will last you for many years to come! I received 3 nail files, a small one for traveling, a normal sized one for my nails and the big one is for a pedicure, don’t forget to take care of your toes 😀 You can order this set of 3 for €27 or buy them seperatly (they have normal medium sized files starting from €5,- and files with crystals starting from €10,-). What I also really like is the fact that you have a lifetime warranty on the filing surface! – The giveaway is internationally so everybody can join! I am entering to win!!! Thanks, Demelza!!! I’m entering 🙂 Thank you for this awesome giveaway! Super toffe winactie Melz, ik doe graag mee! Superleuke winactie! Ik doe zeker mee! Ik volg jou en Mont bleu op fb: https://www.facebook.com/astrid.deroeck, op instagram: https://instagram.com/astrid.deroeck/ en op bloglovin https://www.bloglovin.com/people/astridderoeck-2417565. Thanks for giving us the chance of trying such beautiful nail files! Happy Halloween!